Find out more about the building conservation work we have done in the South East of England. This iconic and well known landmark, previously owned by Donald Campbell CBE the land speed record holder, was in a sorry state of repair. The coping had broken up and had been thrown in the river by vandels, bricks were spalled and mortar eroded. We matched the bricks and mortar and repaired the brickwork. 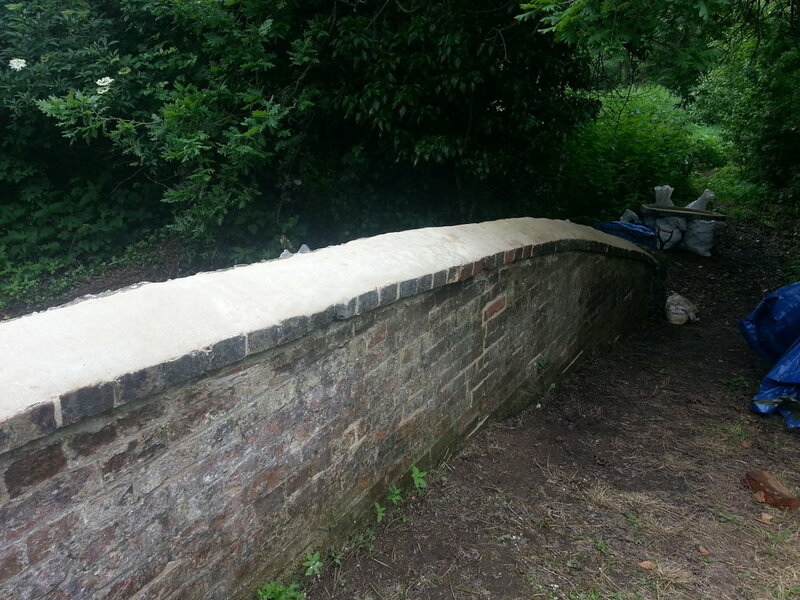 we replaced the coping with new hydraulic lime mortar. 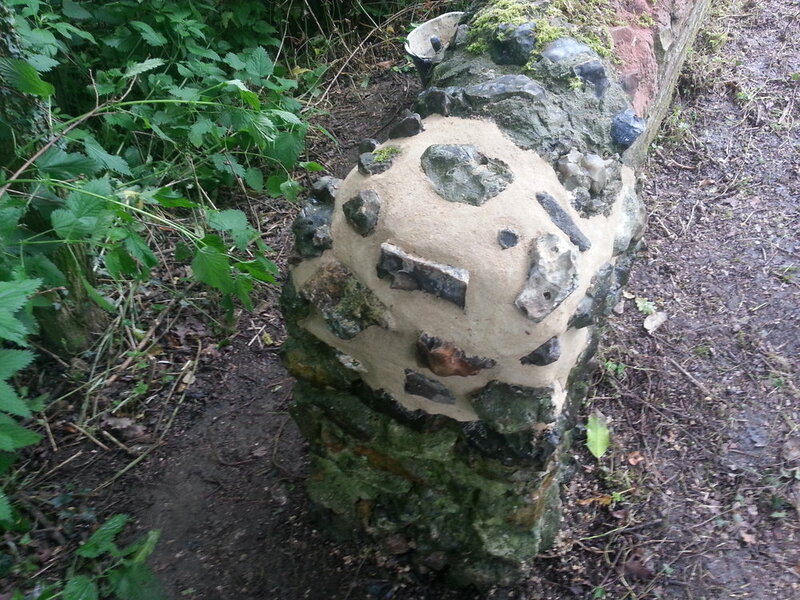 The flintwork at one end had collapsed and we rebuilt it re-using the original flint and non-hydraulic lime mortar. During these works we adhered to strict environmental conservation to ensure there was no inpact from our work on the natural environment and wildlife.